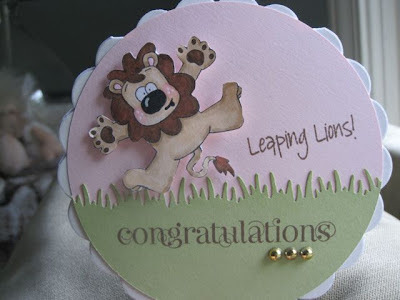 Purple Lake Stamps: No Lion! I have another zoo card for you! It is GRRRrrreat!, No Lion!! It is a circle card! It is my first one. I have been toying with the thought of making a circle card for a while. It was more challenging than I expected. Designing the layout took me a while to figure out how to make it work. It was worth the extra effort. I like how it turned out. 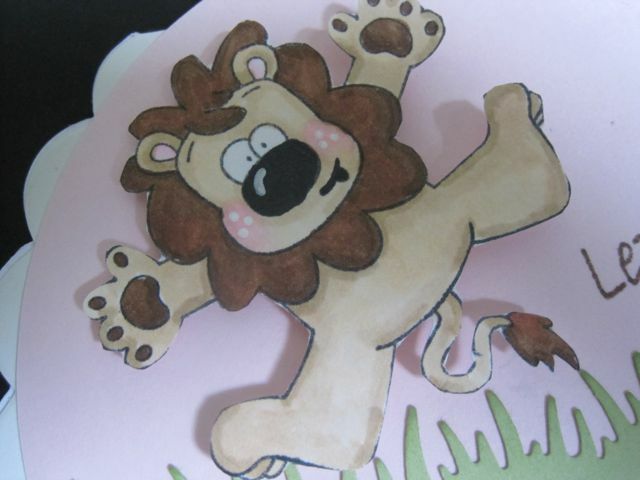 I used a dimensional adhesive on the lion to make him look like he was jumping up.